Kristy Thomas has a plan – a brilliant business idea to form a club of friends who will babysit for neighbours. 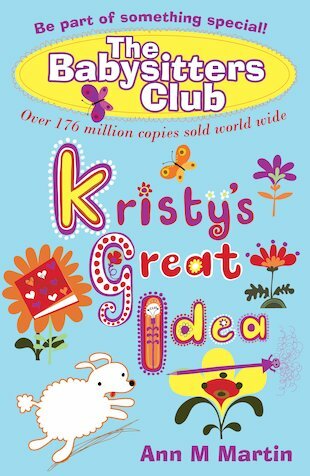 And with the help of Claudia, Mary Anne and Stacey – vice-president, secretary and treasurer – the Babysitters Club soon gets off to a flying start! Everyone’s favourite babysitters are back in this fantastic repackaging of the classic teen series that’s sold over 176 million copies. Friendships are forged, adventures begun and life lessons learned in this very first story. Be part of something special! It was amazing I couldn’t put the book down! FAB!!! It looks like a good book to me! I want to read it so much!